Claribel Alegrí­a. Photo by Lars Hansel, courtesy Curbstone Press. Claribel Alegría was born in Esteli, Nicaragua 1924. As a young child she saw from her window peasants with their thumbs tied behind their backs being herded onto the army base, and later heard the shots. She considers herself Salvadoran since, from the age of nine months, she grew up in El Salvador after her father was forced into exile for protesting violations of human rights. Her father was a doctor who fought with Zeledón against the yanquis; her mother was a member of the Salvadoran elite. Years later Alegría herself was forced into exile from El Salvador as a result of her writing. She studied in the United States and, after some years in Europe and Latin America, she and her late husband, Darwin “Bud” Flakoll, returned to Nicaragua in 1980 after the Sandinista victory to lend support to the reconstruction. For nearly 50 years she has been a major voice in the struggle for liberation in El Salvador and Central America, and her home in Managua, Nicaragua has been a favorite slopping point for intellectuals and guerilla fighters. She has published river 40 books of fiction, poetry, and testimony including: Thresholds/Umbrales , a book of poetry, Death of Somoza and Tunnel to Canto Grande . In 1978 she won the Casa de las Americas Prize for her book of poems Sobrevivo . Her most recent book, Sorrow , a bilingual collection of poetry translated by Carolyn Forché and published by Curbstone Press, has been included in the American Academy of Poets Book Club. I want it to be on record that it is a pleasure to see you again, to see you happy and to know you have overcome these years of troubles, and that you are still writing your poetry. Me too, Daniel, very much. You have always been a great friend of mine and I admire your work. It has been ten years since we have seen each other. DFAIndeed, and with not only good memories, but many hardships. Last time we saw each other, your husband, Bud, was still alive, the wars in El Salvador and Nicaragua had practically ended. I want to dedicate this interview to the memory of those who have been before us. DFAWe have had so many conversations and spent so much time together through the years. Often things come back to mind, one time in particular, you were telling us that a Native American poet had written to you from North America asking what Tribe you belonged to. CAThat was Joy Harjo—I translated a poem of hers into Spanish and read it in one of these great galleries of poets that were in Nicaragua at that time, remember? DFADo you think that we belong to a lost tribe, culturally speaking? CAI belong to this fantastic tribe, the Mayan, the Aztecs. I am proud of my Indian background. Chichen Itza in Mexico had one of the first observatories, how many years ago? Bud used to say, “Look, this is as good as the one we have in Mount Palomar.” The richness of this civilization is still not recognized, but I think it will be. DFAHopefully it will be, in the new century. Claribel, you belong to a generation of writers and intellectuals throughout Latin America, and, correct me if I am wrong, who were part of the literary boom in the ’60s. Do you consider yourself part of that literary boom? CANo, I don’t think I have the right to consider myself—Arturo Arias was the one who said I was part of the boom, but I don’t think so. I came before the boom. I consider them my friends, yes, but I am not part of the boom. DFAYou have written a substantial body of work in your life. You are one of the foremost female poets in Central America, known throughout the world as a literary figure. What generation does that put you in? Don’t you feel you belong to that particular world of literary expression? CACulturally speaking, I belong to that generation, the generation of Cortázar or Benedetti, or Vargas Llosa or Carlos Fuentes. Julio Cortázar was about ten years older than I am, Vargas Llosa about ten years younger, and Fuentes two or three. It’s the generation of Roque Dalton. Roque was born in 1935 and I was born in 1924; Julio Cortázar was born in 1914. DFAIn terms of Central America, did you have other poet friends, like Roque? CAA wonderful generation has come after me: they were born in the ‘30s—Manilo Argueta, a very talented poet and novelist; Roberto Armijo, who died, also very talented, and Quijada Urías, another very good poet. I feel close to that generation and they’ve always been so wonderful to me. DFABut that is Roque’s generation. Carolyn Forché and Claribel Alegrí­a, Majorca, Spain, circa late ’70s. Courtesy Curbstone Press. DFANo wonder you’re so famous all by yourself! For the new generation of writers in Central America—my generation—the one you once called “the damned generation”—I often wonder what the difference is between Roque Dalton’s generation and my own. Roque Dalton was the voice of the intellectual left and yet the left assassinated him. Intellectuals of our generation who took part in the political struggle knew that getting involved with politics in El Salvador was not a child’s game. We carry Roque’s death on our backs and in silence—because talking about his assassination during the war years was taboo. Our generation learned the hard way. And we went on to support the revolutionaries; well aware that we could get killed by either side. This struggle of the young intellectual in Central America was distinct from Roque’s generation, which embraced the revolutionaries full force. We moved forward with skepticism, but equal force, ready to confront or defy anybody—even death! I remember meeting Horacio Castellanos Moya in Mexico in the early ’80s, who back then was a member of a small group of dissidents. The revolutionary process was hardly ten years old and there was already an ill feeling about it. Our generation had a huge gap to fill in between the “committed generation of Roque,” the “boom generation” and a country at war. CAWell, your generation was very committed, too. Times were both wonderful and terrible. You were fighting all the time, you were really thinking the country was going to have a fantastic revolution and that things were going to change for the poor. You were utopic, and so very deeply into that, that you didn’t have much time to look deeper into your psyche, or your culture. Maybe, now you do. But I also feel this is a transitional period right now and your generation is a little bit lost. CAThat’s right, angry and lost. DFABut did you experience that kind of anger in your time? CAOh yes, very much. Of course. I was born in Nicaragua and the US marines occupied Nicaragua in 1924, the year I was born. My father was very much against it and his life was in danger because of the Yankee intervention. My mother was Salvadorean so my family decided to move to El Salvador. That’s where I was raised, where I grew up. So my father was always in exile because he was in favor of Sandino who was then fighting against the marines, this was in 1929, ’30, ’31. You know that the older Somoza had Sandino assassinated. My father wrote against Somoza, and Somoza gave the order to kill my father, but then he repented. I remember he sent someone to our house—I was about 12 years old—who told my father he could choose any place he wanted to go—Paris, London, Washington—and be Ambassador. My father got very red in the face and said, “Tell him I will never serve a dictator like him, and you walk out of my house right now!” After that my father was in exile all the time because the Somoza dynasty went on and on. DFASo, you left El Salvador when you were 18? CAYes. I came to this country to study. First I went to Loyola University in New Orleans for a semester, I had a scholarship there. But then I had the very good luck to meet Juan Ramón Jiménez. He was living in Washington DC at that time, and told me he wanted to be my mentor. So I moved to Washington DC He and his wife were wonderful to me. They got me a part-time job at the Pan-American Union and I lived in the International Student House. I studied and worked and he wasmy mentor—one of the best things that ever happened to me. He chose the poems for my first book, Anillo de Silencio and Vasconcelos wrote the preface. DFAYou always manage to have wonderful mentors and wonderful people around you. CAI was born under a very good star. I recognize that, yes. DFAWere you considered a writer in exile during those years? CAI wasn’t in exile, I came here to study. I could go back to El Salvador whenever I wanted, and every year I went to see my family. I met my husband, Bud, when we were students at George Washington University. We got married and traveled all over the world. But I went back to El Salvador all the time. I was in exile, but it was my choice. After Monsignor Romero died, I couldn’t go back anymore, because—I remember this very clearly—I had been invited to give a poetry reading at the Sorbonne and the day before the reading, Roberto Armijo called me—he was living in Paris—and told me about Monsignor Romero’s assassination. Bud said to me, “You said you were going to read poems tomorrow: Don’t. You are going to talk about Monsignor Romero. We will prepare something tonight, and tomorrow you are going to tell these people what is happening in your country.” Bud, an American, told me to do that, and we did. I talked about what had happened in my country and the horrible assassination of Monsignor Romero. And soon after that, my cousin, Vides Casanova, then Minister of Defense, sent word that I should never come back to El Salvador, otherwise, he would not be responsible for what happened to me. That was a forced exile. I did not go back for 11 years. The worst part of it was when my mother, who adored me and who I loved, was dying in El Salvador. She asked for me and my brother told me I could not go. That is in this book, Sorrow , a poem called “Rito Incumplido” (“Unfinished Rite”). DFAYes, your new book just published this year, Sorrow . CA Sorrow in English, Saudade in Spanish; it is a Portuguese word, but it has been accepted by the academy. Saudade —what a word; it is more than nostalgia, it’s more than sorrow. I adore it. DFATell me about the book. CAWell, Daniel, you know that my husband, Bud, died about four and a half years ago. It was the most terrible blow I have ever had. He was such a wonderful companion. We lived together for 47 years and we had physical and spiritual children together. He was my translator for many, many years. We wrote a novel together, Ashes of Izalco , about the Indian massacre of 1932 in El Salvador. And we wrote several testimonial books together. It was a union that was so complete, that it’s too much. I thought that I was never going to write again. But then, thank goodness, poetry came to me and writing this book has helped me to understand. I don’t mind solitude, I am used to solitude. I love solitude. His absence is heavier and heavier every day, but writing this book has done me a lot of good, though it was a very hard exercise. Claribel Alegrí­a and her husband, Darwin “Bud” Flakoll. Photo courtesy Curbstone Press. DFANow your home is Nicaragua? CANow my home is Nicaragua—for many reasons. We have a small house in Nicaragua, as you know, and my son lives there and Bud is buried there. But I go to El Salvador as much as I can. DFAWhat do you think of the writing in Nicaragua now? How are the poets? 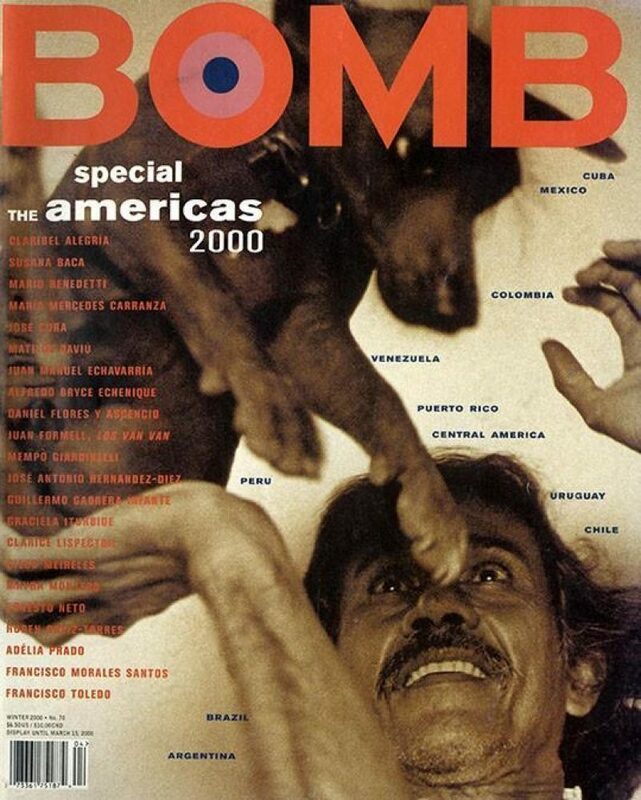 DFADuring the Sandinista years there were a lot of poets there—most of them, have they left? CAThey are there, but less so than during the Sandinista victory. I feel the same phenomenon occurring in El Salvador that is occurring in Nicaragua. There are some very good voices in El Salvador, too. For instance, I like Huezo Mixco, the poet, very much and Horacio Castellanos’s prose, and Jacinta Escudos who still lives in Nicaragua. But there are others that are sort of lost—they don’t know exactly where to go; they’re disillusioned, they have anger. I still think there is a search there—both us Nicaragua and in El Salvador. CAA search for identity. Don’t you agree? DFAYes, in fact, this is one of the main concerns—not only in literary circles, but in general. I just got back from LA where I was participating in a conference with Manlio Argueta and Roque’s son, Juan José Dalton, I was invited because I just finished producing a film. The conference was El Salvador and Salvadoreans in the USA: Two Cultures, One Country . It was all about identity. It seems there is concern in every circle of society responding to who we are—especially here in the US—and I’m sure poets and writers in Central America are going through the same thing. This is how we started our interview: Who are we? Let me ask you this: Has it always been an identity crisis? CAIt’s more now. When we were making the revolution we identified with a cause. Now, it’s as if the boat in sinking, (laughter) and your generation is having a hard time. DFADo you think the search is deeper? CAThe search is deeper—but something very beautiful is going to come from it. We might have to wait several years, but I feel something profound is going to come. I think we will be looking more deeply into our roots. We didn’t have time to do that during the war—we identified with the proletarian. Now it’s going to be a more conscious process—studying who we are, studying as Vasconselos said, “this beautiful cosmic race that we are. Not just our Indian roots but our Spanish roots, all of that, all of what we are.” And why all of these things have happened to us: Why all of these abortive movements have happened, and then to go deeper than that. DFAAnd you say that the poets and writers in Nicaragua are going through the same thing as those in El Salvador? CAYes, exactly the same identity crisis. Before, they identified with the revolution—that was their identity. Many beautiful, wonderful writers came from that. Now they have a voice, but they are looking for something to identify with. Maybe, you just have to identity with yourself. I don’t know. I am searching, too. (laughter) Go into yourself, be more introspective than extroverted. That doesn’t mean that your people don’t mean anything to you. Of course they do, but that must be in relation to yourself. So, more introspection, but this is a guess. I don’t mean egotistically. I don’t mean looking at your navel. But taking your deep self into account. DFABut that deep self has been hurt and our spirit has been shattered. CAIt’s been very hurt. It’s been wounded, and you have to give balm to the wounds and try to understand it. DFAIt’s a long process. I think that’s what makes you such a wonderful poet, you have that freshness, you continue that search. And that’s what poetry is all about, really, that constant search. A constant, constant search, that’s it. DFAWhat is very curious, is that we don’t want to talk about the civil war. For people who have suffered through the war in Nicaragua, in El Salvador, including Guatemala—it’s very hard to talk about the process. The good and the bad. CAI know. I understand. I will tell you one anecdote that was shattering to me: Right after the peace agreements Bud and I went to El Salvador and I wanted to go to Guasapa—one of the guerilla strongholds. I met an old lady there who said to me with tears in her eyes, “So why all of these wars? I lost my husband, I lost two of my children, I lost my son-in-law, for what?” I cried with her. I didn’t know what to tell her. As you said, she was wounded. That’s why people don’t want to talk about it. But this refusal to speak about it is transitory. Sooner or later we have to face it. We have to reach inside ourselves, and inside our people, too. It’s a lot of work, but something great is going to come from it. Maybe I will not be alive to see it. DFAIt is historical pain, it’s not just physical pain, it’s not just spiritual pain. This is a different degree of suffering. We almost carry it genetically, this suffering. CAFor instance, I was a child, seven years old, when the 1932 massacre began. I carried it with me as a terrible wound. It wasn’t until years later that I decided to write Ashes of Izalco with Bud in order to exercise myself from that time. Martinez won and he stayed in power until 1944 when our people ousted him. And then more dictators and more dictators until, we thought, This is it! We are going to be free. Look—we didn’t even win the revolution. Maybe I am stupid, because I am utopic, but I don’t think El Salvador will be the same even though our revolution didn’t win. The people aren’t going to be the same anymore. Something has happened. When I was writing Don’t Take Me Alive I interviewed many peasant women who told me they were never going to be as they were before. Now they know how to read and write, they know they are not inferior to men, they have done beautiful things right there with the guerrillas. It’s a step forward, and will help the other generations. I don’t think everything is lost. I don’t think El Salvador and Nicaragua are going to be what they were 20 years or 30 years ago. CAWe have accomplished something. But now we have to sit down and review and go deep and be slow in thinking, really and truly, to be wise. The new generation of writers is going to build with that: Not only with the “I” not only with “the people,” but with both things together. CAA more complete view, that’s right. Yes. I hope that we all will come to understand and be more proud of our heritage. DFAI hope so too, although I am not very optimist when it comes to to humankind. I think we are very violent and ambitious little beings. CAIt’s true, we are all very violent. The 20th century has been one of the most bloody centuries, terrible, the Holocaust, and Sarajevo. Oh my God! What do I hope for this next century? That the human race thinks deeply and puts aside hate, that we end all discrimination. For instance, we are a mestizo country—but how many times do they say to us, “Oh come on, this is just an Indian.” This is horrible. Look how in this country the blacks or the Hispanics or the Jews have been treated. How beautiful it would be if in the 21st century—starting let’s say, with Central America… I would love Central America to be one country. We are the same everywhere. We belong to this beautiful cosmic race and it is the cosmic race that is going to reign in this next century. It is the mixture of races that is so beautiful. DFABut when you say the mixture of races, does that mean we have to mix or that we have to accept each other? CAWe have to accept each other, if we mix fantastic. Why not? Not to make you marry someone that is not of your race; but if you want to, so what? I believe in the mixture. All of us have a gift to give. All of us. DFAWhen a white man married an Indian woman, or people related to Indian cultures here in the US, they used to tell them: You Indianize yourself. The mestizage that we talk about in Central and South America, is more of a remix, a recycling among the different Indian groups. Then and only then did we mix with European blood, which has a class additive to it. It is curious that with the end of the war, we can see, on one hand, the cultural assimilation to Indian ways, and on the other hand, the “Ladinizacion” or westernization of our way of life, which is Indian. Yet, there is an explicit sense of condemning everything that is Indian every time we talk about mestizage. CAI know many people in Central and South America condemn what is Indian. Which is so silly because we are all Indians and Spanish and there is black too in Central America. I hope we go back into our Indian roots in the next century, bring them to the surface, study them. There is only an elite that knows of the great richness and wisdom in the Popol Vuh ( The Book of the Dawn of Life ), we are going to get as much from this as we do from our Spanish heritage. DFAIt’s difficult to look into the Indian culture because there’s not only very little left, but what is left is only regarded as a vestige for the anthropologists. On the other hand, we Central Americans live like Indians. We talk like Indians. We eat like Indians. Except for the McDonaldization of our culture (laughter)—our diet is based on corn and beans. After the war, we still remain at an impasse. CAThat’s right, many more people know more about El Quijote than about the Popol Vuh . Why? Because the Spaniards destroyed so much. DFADo you ever have moments of doubt about writing in Spanish? Do you ever think about what could have been if you were writing in a language other than Spanish? CANo. For me, Spanish is one of the greatest heritages the Spaniards gave us, I adore my Spanish language. It would not be honest if I were to start writing in Nahuatl. I was born with the Spanish language; I was fed by the Spanish language. I could not write in any other language, Spanish is my mother language—I think in Spanish. When I am mad, no matter where I am—I would express myself in Spanish. (laughter) I would really like to study Nahuatl and I haven’t, which is my fault; it’s a beautiful language, but I could not incorporate it; I would not write in Nahuatl. But I would like our children to learn from this other richness of ours and take advantage of it. We have always submerged the Indian. You remember Maximilliano Hernandez Martinez? Well, you don’t remember, you were not born—what happened then was just awful, he thought all the Indians were communists. DFAWell, in El Salvador, everything is possible. You are not justan Indian, but if you are a communist that poses a further threat. CAIn El Salvador we had so many enclaves of traditional Indians in Izalco, Nahuizalco, and Panchimalco, and he persecuted them in horrible ways, so much so that some of the Indian men would dress as women in order to flee. Then they stopped speaking in their language because they were afraid that if they did that they would be killed. Many traditions were practically lost, and for years after, they would not talk in their language, not even amongst themselves. And I imagine Martinez was more than half Indian, even though he started this persecution. It was a horrible thing that happened in El Salvador, a dichotomy. DFASo we Central Americans are all “repressed Indians”: In every sense of the word. CAThat part of us is so submerged, I wish it would flourish, because our Indian culture has been aplastada. DFAAplastada! (crushed) Do you think that the writers of the literary boom in the ’60s were finding their universality from their local experience? CASome of them, not all of them. I don’t think Julio Cortázar did, Julio was never a regional writer. You could see he was Argentinian, but he was more like Borges, more universal from the very beginning. He didn’t jump from the regionalism, he wrote universally all the time. But both García Márquez and Vargas Llosa jumped from the local to the universal. Much of Vargas Llosa’s work is so Peruvian. And Carlos Fuentes, he’s very, very Mexican, and he jumped from there to universality. It’s not that Julio was not very Argentinian, he was very Argentinian but his works were never as local. DFADo you think there will ever be an Indian literature? CANo, just purely Indian literature? No, I don’t think so. from Sorrow by Claribel Alegría, translated by Carolyn Forché. Courtesy Curbstone Press. Nancy Morejón is one of Cuba’s most preeminent poets, and the most internationally successful and widely translated woman writer of the post-revolutionary period. Her work speaks of African Cubans, of women, and of the people of her local Havana. Griselda Gambaro talks to Marguerite Feitlowitz about the pressures of writing under an oppressive government regime in Argentina.